The money brought in by music streaming is set to shoot up 40 per cent this year, raking in over $1 billion (£640 million). According to Strategy Analytics, global digital music sales are set to reap $8.6 billion throughout the year (£5.5 billion). 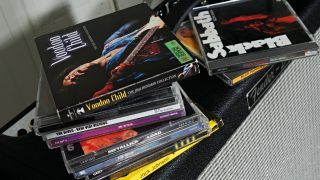 It's still small-fry compared to sales of physical CDs and the like, which account for 61 per cent of the industry's takings. But digital music spending is on the up and physical is dropping consistently - if Strategy Anaytics' predictions are accurate, digital spending will overtake physical in 2015. Ed Barton, Strategy Analytics' Director of Digital Media, explains: "Although downloads still account for nearly 80 per cent of online music revenues, this market is maturing and spending is flattening in all key territories. "People are increasingly valuing accessibility and availability over actual ownership of digital music which, in turn, drives growth in streaming services which routinely offer instant access to over 10 million tracks. "Additionally, the emergence of cloud storage of a subscriber's existing music library for seamless streaming to a range of connectable devices improves the value proposition further." Strategy Analytics' findings jive well with other reports of increasing revenues from streaming, with Warner Music confirming that eight per cent of its income comes from streaming. But although the figures for music streaming are constantly on the rise, it remains unclear how much of the money actually finds its way to the artists themselves.